1. It's becoming South Africa's most interesting city. And the New York Times agrees! Last year it put the city at number 7 on its global list of 52 must-visit destinations. While Cape Town's gorgeous good looks and nearby wine country lures many of South Africa's inbound leisure tourists, it's time for sultry subtropical Durban -- South Africa's third major city -- to grab some of the limelight. Why? It's pulsing with energy, thanks to an alchemy of different languages, cultures and ethnicities thrown together: African rhythms spiced up with Indian food and stately Edwardian and Art Deco architecture that is best experienced on foot. The gritty downtown is rapidly revitalising as creatives and entrepreneurs set up shop in hip mixed-use developments such as Station Drive and 8 Morrison. And, with an all-year-round warm climate, and a balmy ocean lapping at its edge, Durban is a great place to swim and surf too! 2. It feels like you're starring in a Wes Anderson film. Close both to Durban's vibrant city centre as well as its international airport to the north, The Oyster Box Hotel is perfectly positioned to make the most of your visit. 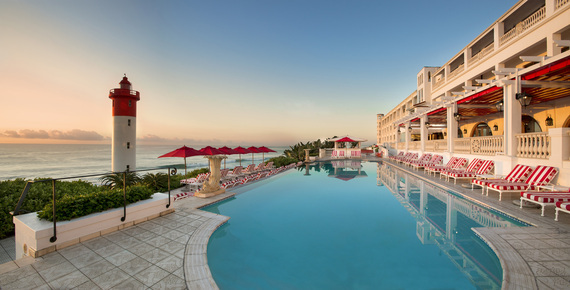 Established in 1954, it's Durban's grande dame hotel -- kind of like the Waldorf in New York, or Claridge's in London. But that doesn't mean it's stuffy -- far from it. Owned by Red Carnation Hotels since 2006, it has been lovingly and playfully restored: a riot of nostalgic Technicolor whimsy. Bedrooms are plush and cosy, with thick carpets and art-lined walls. Pith-helmeted porters greet you at the entrance to the airy lobby, while in the jazzy Oyster Bar, rattan fans flap lazily overhead. Crammed with books and antique clocks, The Clock Library offers is great for hibernating on the (extremely rare) rainy day. 3. You get to feast on curry. With one of the largest populations of people with Indian descent outside of India, it's little wonder that Durban is South Africa's capital of curry -- here are 13 of the best spots to sample it, including The Oyster Box's Ocean Terrace which pays homage to Durban's spicy heritage with a nightly curry buffet -- starring 11 delicious dishes, many of them cooked in the tandoori oven. Feisty and flavoursome, my favourites were the hot lamb vindaloo and the oh-so-subtle Singapore fish curry. 4. A delicious morning after. Not all hotel breakfasts were created equal. The Oyster Box's is a veritable feast. In the lush Palm Court, a table groans with freshly-baked pastries, rounds of cheese, charcuterie platters and all the ingredients to make your own muesli parfait. You can get a sizzling omelette at the hot section next door, but make sure you save space for pancake or waffle, made fresh for you, with a whole host of toppings to choose from. Breakfast is best enjoyed with a perfect cappuccino on the terrace overlooking the Indian Ocean, which is occasionally graced with schools of passing dolphins. 5. The beach is within diving distance (almost). 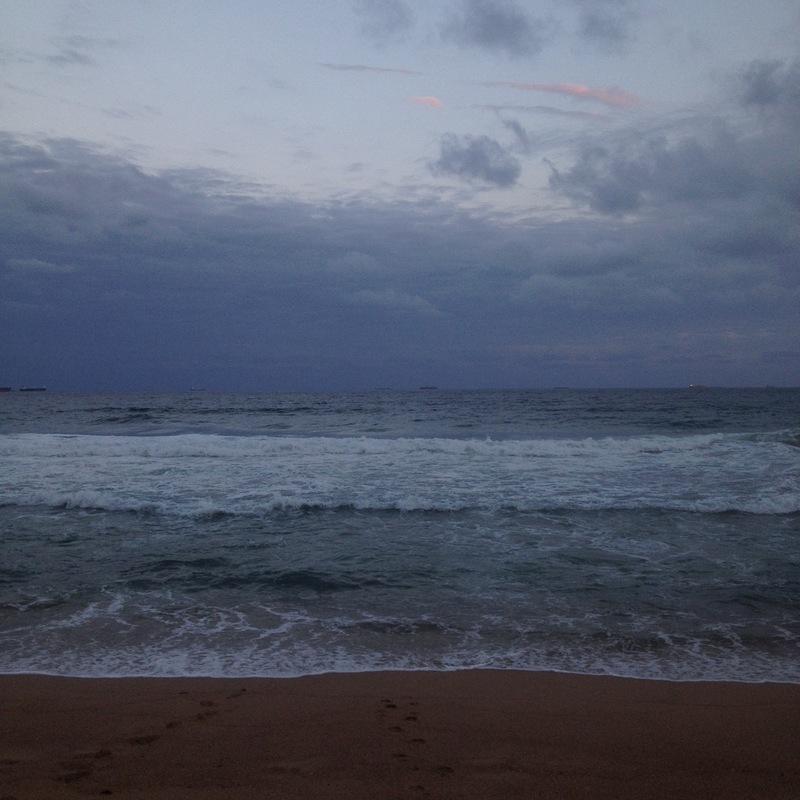 Durban's languorous sprawl along the coast means that you're never far away from the ocean. Right below The Oyster Box is Umhlanga beach -- great for fishing and surfing and getting your toes wet in the silky warm water (be careful of strong currents though). If you feel like working up a sweat, you can jog along the interminable sand, or on the Promenade, a tarmac ribbon which extends for miles parallel to the beach. 6. Get pampered at the best spa in Africa. At last year's World Spa & Wellness Awards, The Oyster Box's spa got the top spot in Africa. Have a deep-cleansing Oriental treatment in the hammam, or enjoy a B | Harmonised massage-meets-meditation treatment which uses products from Red Carnation's very own range, B | Africa, that pays homage to Red Carnation's founder, Be a Tollman, made with ingredients indigenous to southern Africa. 7. There's never been a better time to go. In just one year, South Africa's currency, the rand, lost a quarter of its value, making this already-affordable destination even more attractive to international travellers. Rates per room per night for an entry-level Classic Garden Facing Room at The Oyster Box begin at ZAR4515 (that's less than $300! ), including breakfast. With Emirates flying in from Dubai, and Turkish Airline's recently launched flight from Istanbul, Durban is easier to get to than ever before. What are you waiting for?